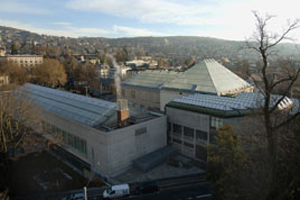 The Kunsthaus Zurich museum is being extended to include the addition of new event spaces. The new building will have a 500m² central hall and for events, a 250m² foyer, a 550m² event and festival room, 100m² catering space and 100m² of group rooms will be constructed. The work is expected to commence next year, with the building completed by 2017.